Delusion Studios and veteran mobile MMO developer TOAST today announced the closed beta release of the highly ambitious mobile MMO inspired by RPG, RTS and tower defense mechanics, Guardian Stone. Today marks the official launch of the closed beta client on Android platforms as the developers invite players to register their interest for an opportunity to sample the game before its full release on the mobile market. As with traditional RPG games players are given the choice of which class they take into battle with Ranger, Warrior and Mage forming the familiar basic archetypes of the RPG world. 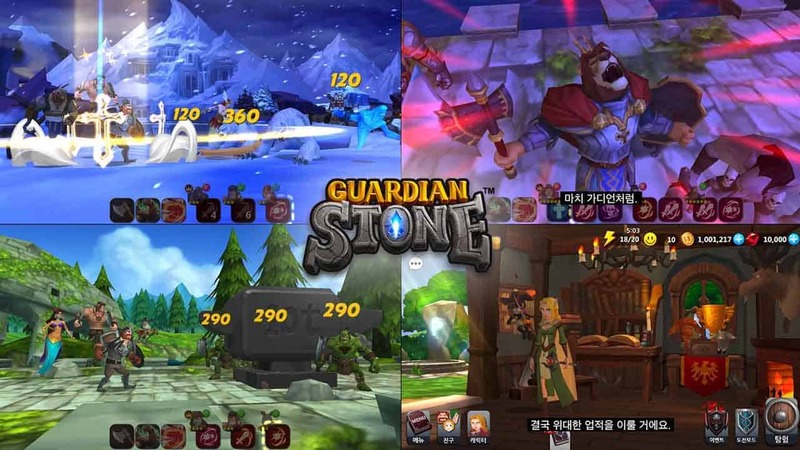 Guardian Stone features a collection addicts dream mechanic as players explore a vibrant game world in the search of powerful Guardians that they can recruit into their team to accompany their Heroes into battle. Couple this with the turn-based strategy combat similar to Final Fantasy Tactics with the fast and furious approach to combat in tower defense games and you’ve got a fun frenzy of a medley in the palm of your hand. Check out the launch trailer below or register for closed beta here.